His current practice draws inspiration from both terrestrial and astronomical landscapes. The post industrial landscape of South Wales where he is now based has inspired him to make work that explores the man made altered land which is still evident decades after it was returned to nature. This work is carved from natural timber and responds to the random nature of the natural material. His sculpture inspired by astronomical landscapes explore the mathematical geometry of the scientific theories used to describe astronomical events. This precisely made work is assembled from timber components which are manipulated to reveal fascinating and intriguing forms. 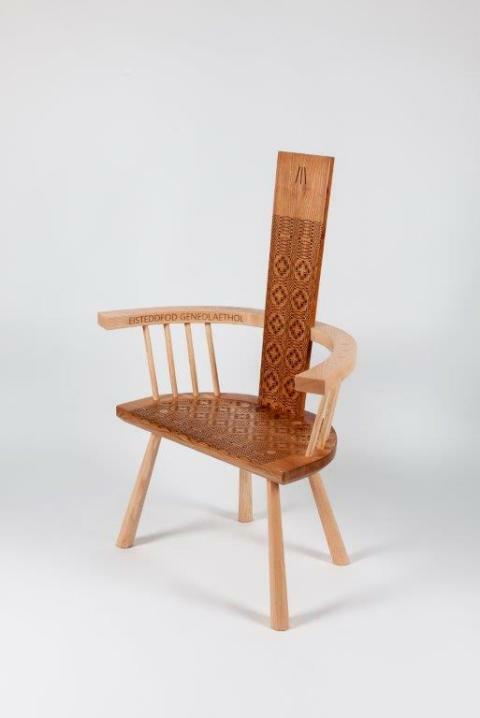 Chris was recently supplied the Bairdic chair for this years (2018) Eisteddfod.